May have been a very fun month for me. I got a long weekend away in the Lake District (note: Yorkshire Dales, who knew?!) which was so much fun! 3 nights definitely wasn't long enough! I've even delved into new, unfamiliar territory recently and taken a chance. I've had a few decent nights out, an amaaaazing weekend in Sheffield with Emily and another fun weekend in Bristol the weekend that has just passed. My weeks have been work, as usual, trying to squeeze in the gym and packing ready for my move (this coming weekend!!!). 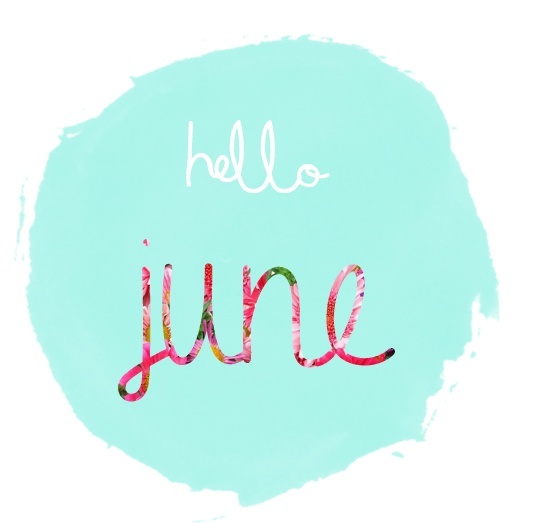 June is another busy month. I'm in London Thursday and Friday, moving on Saturday, I'm off to Italy for a week on the 12th for two shows, I'm back in Nottingham for Father's Day, seeing 'Amy' the evening of Father's Day, in London from 25th-28th working at Best of Britannia. I also have a few dinners, a couple of evening events, footwear factory tours and the space in between that I shall most definitely be sleeping! Gym 3-5 times per week and healthy eating - As I lost focus a little last month, this month I need to get with it. I've got two trips away but in between, I want to make sure I'm going to the gym at least three times per week. Also, either side of these trips, I need to eat really healthily. Get everything I need for my new room - I wanted to do this gradually over time BUT with all of my work trips between June and October, I want to get my room exactly how I want it. Get my 8 hours a night - Despite the fact I get this most weekdays, weekends are where I fail. I also have some nights where I get to sleep at a reasonable time but wake up so early and don't manage it. 8 hours is definitely the amount of sleep I need to function. Find time to meditate and practice yoga during the week - Lots of plans and busyness leaves little time to do the things we enjoy sometimes. I've not done have as much yoga lately as I normally would and I need the meditation to unwind. Create a spotify playlist of ALL of my favourite songs - this may seem like an achievable one but to actually find time to sit down and do this is the tricky part. I want a playlist that I can just put on in the morning and leave running all day, everyday if needs be! Have you thought about setting yourself some monthly goals? It's really helpful to keep focus and feel a sense of achievement as one month ends and another begins.